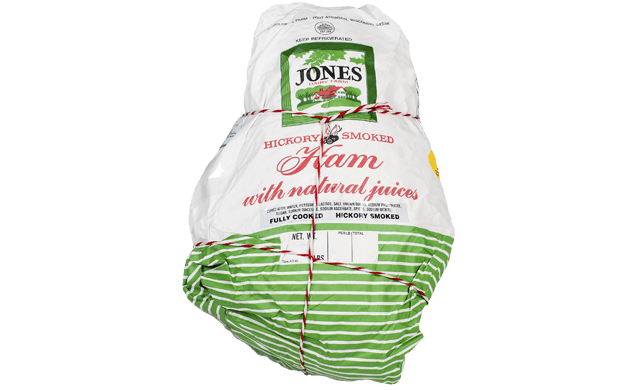 Dress up a Jones ham with a classic glaze and make dinner a delight. Remove ham from refrigerator 1 hour before cooking. Unwrap ham and generously pat salt and pepper all over ham. Place ham on large cutting board, fat side up and score ham with 1/2-inch deep cuts, in a diamond pattern. To make the glaze, combine brown sugar, balsamic vinegar and Dijon mustard in small bowl. Preheat oven to 325°F. Place ham (fat side up) on roasting rack in roasting pan. 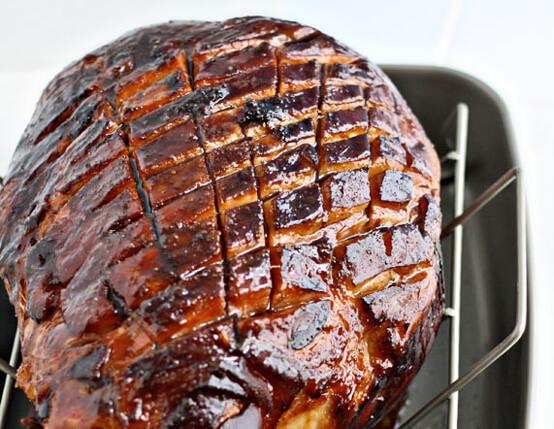 Cook uncovered ham in oven 15 minutes per pound or until the internal temperature reaches 140°F on meat thermometer. Halfway through the baking period, remove ham from oven and brush with half the glaze. Cook for another 45 minutes and brush with remaining glaze. When ham is done, let rest at least 5 minutes before slicing.